RYAN ROBINSON LOVES YOUR FACE: Delivered to the Max! We had another great shoot with the folks over at Campbell Ewald for USPS' Deliver Magazine. 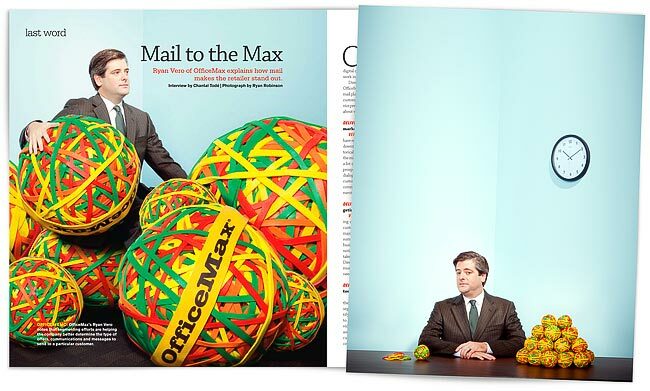 This time we grabbed a fun collection of images of Ryan Vero of CMO of Office Max. Deliver is a great magazine for marketers, but it is also a great resource for photographers and other artists to learn more about marketing trends and news.